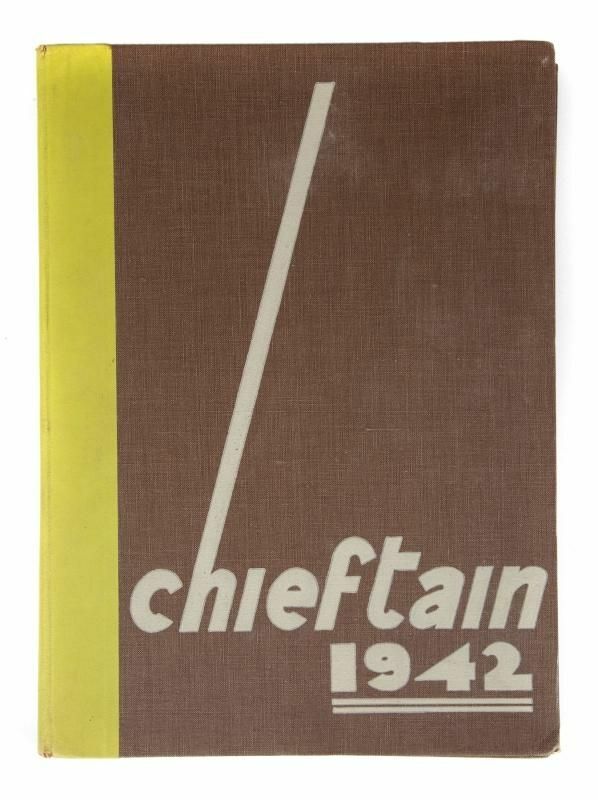 A Chiefton 1942 Yearbook from University High School in Los Angeles. 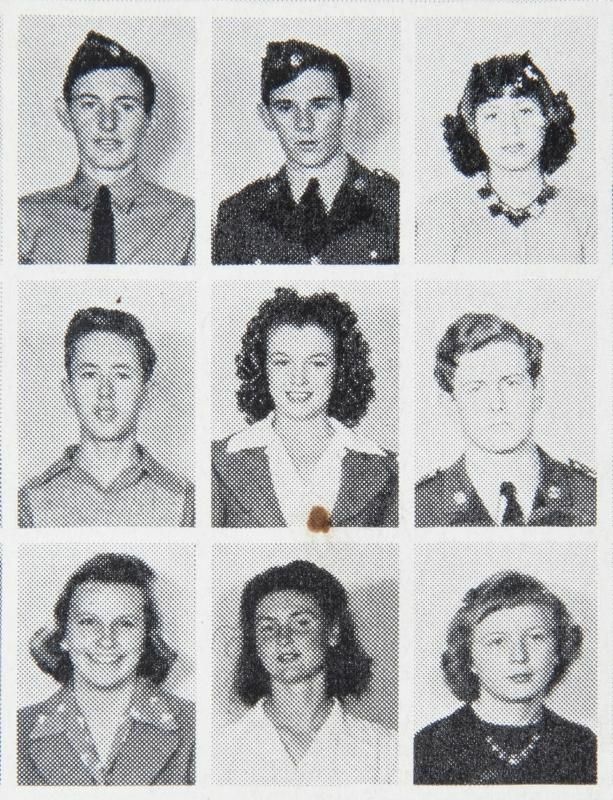 Marilyn Monroe appears on page 48 as a tenth grade student. Some notations written in pencil within the book by the student who owned the book. 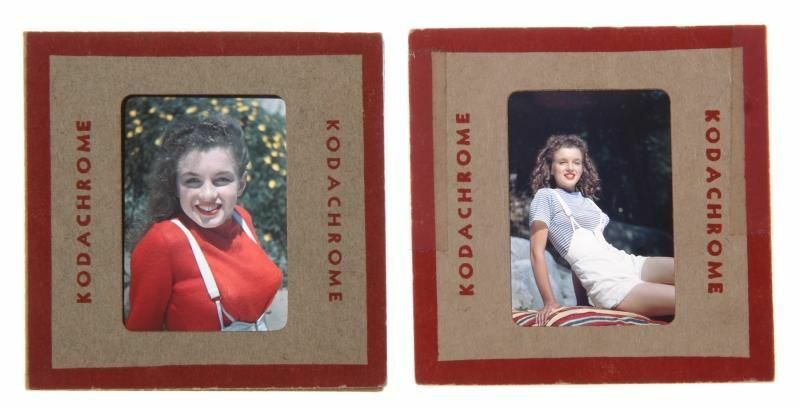 A group of four color photographs and two Kodachrome transparency slides of Marilyn Monroe, taken by David Conover in 1945. 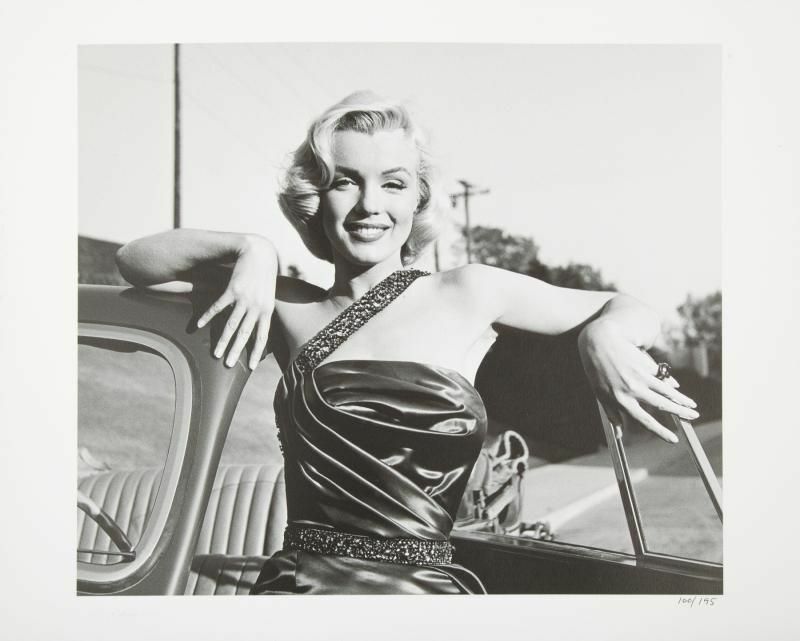 These photographs represent some of Monroe's earliest modeling images. 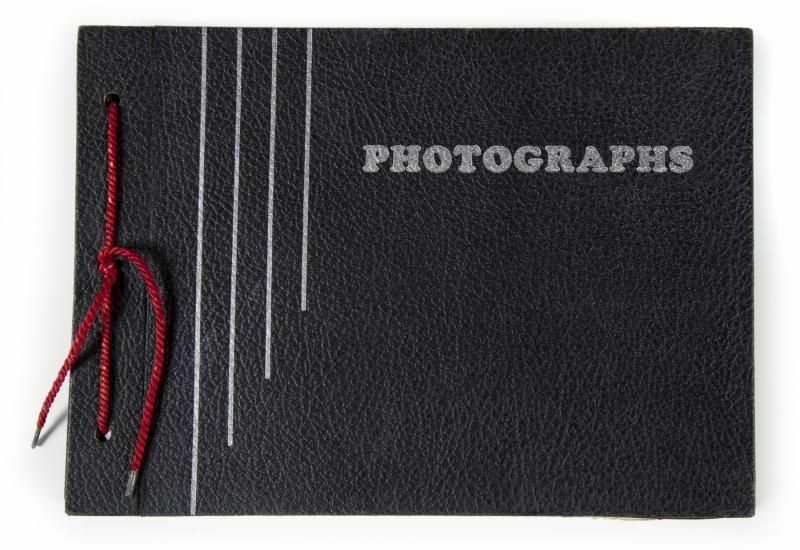 Photographs printed circa 1987. Color lithograph poster showing an almost life-size full-length image of Marilyn Monroe in a bath suit from a photograph taken in the 1940s. Reads at bottom right " 'Marilyn Monroe Pin-Up,'/write: Pin-Ups, Dept. 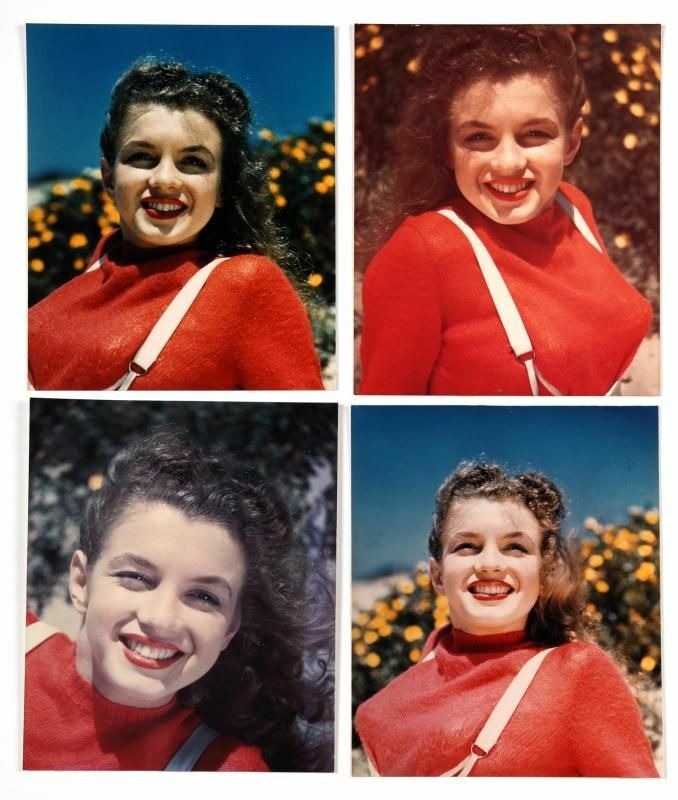 X, Box 86, Boston Mass./ Printed in U.S.A."
A Marilyn Monroe "Golden Dreams" calendar from 1953. The calendar reads "Souvenir of New York City." A black and white photograph of Marilyn Monroe circa 1947. 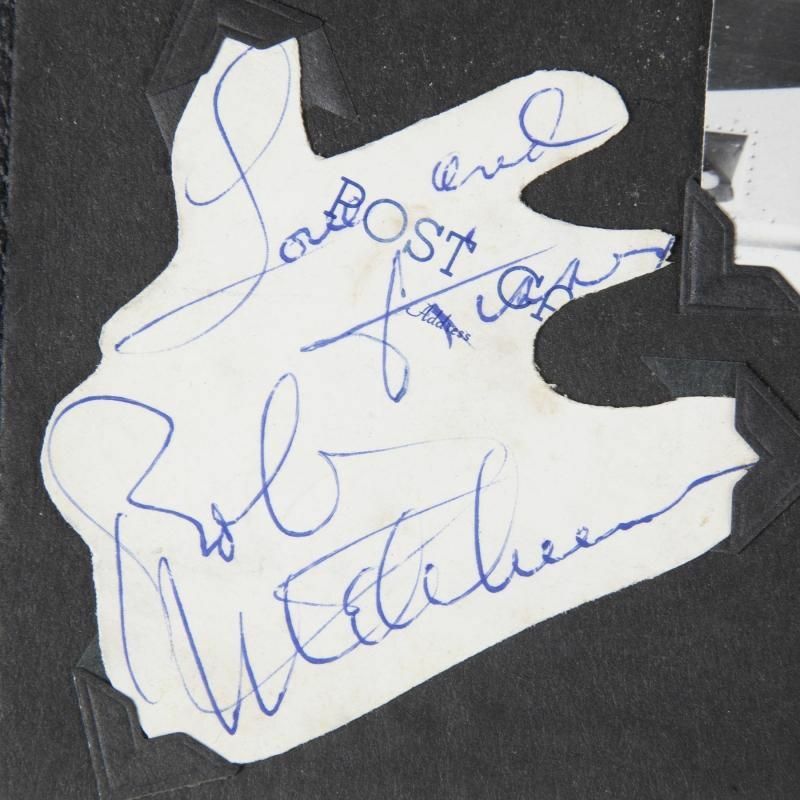 The photograph is stamped on verso "Ullom Studio Photo Las Vegas, Nev." The reason for Monroe's appearance in Nevada is explained by Monroe's former boyfriend, Bill Pursel, in the book Marilyn Monroe : Private and Undisclosed by Michelle Morgan. Pursel explains that Monroe was in Las Vegas for a show at the Flamingo Hotel. 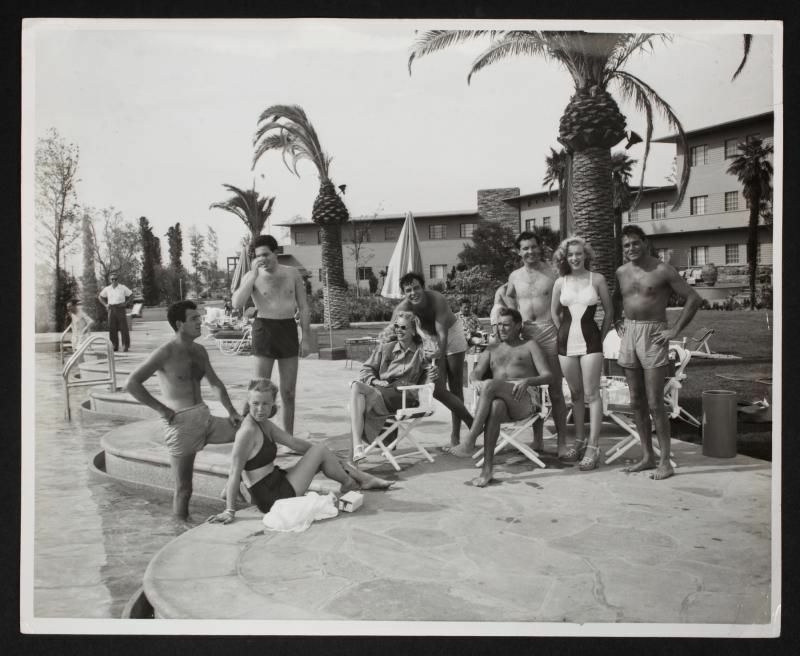 Monroe is seen in the photograph, second from right, in a one-piece bathing suit. 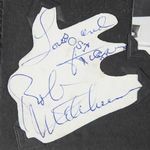 The photograph was obtained from the estate of a former Flamingo Hotel housekeeping manager. 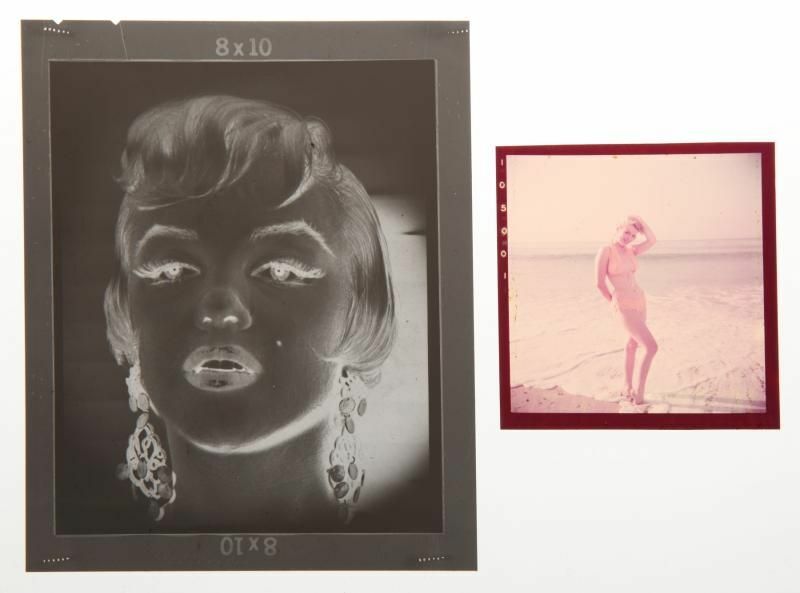 A group of five negatives of Marilyn Monroe taken circa 1952 by photographer William Kotler and sold with the copyrights. During the filming of How to Marry a Millionaire (20th Century Fox, 1953), Monroe posed for publicity photographs at Greenacres, the home of actor and photographer Harold Lloyd. 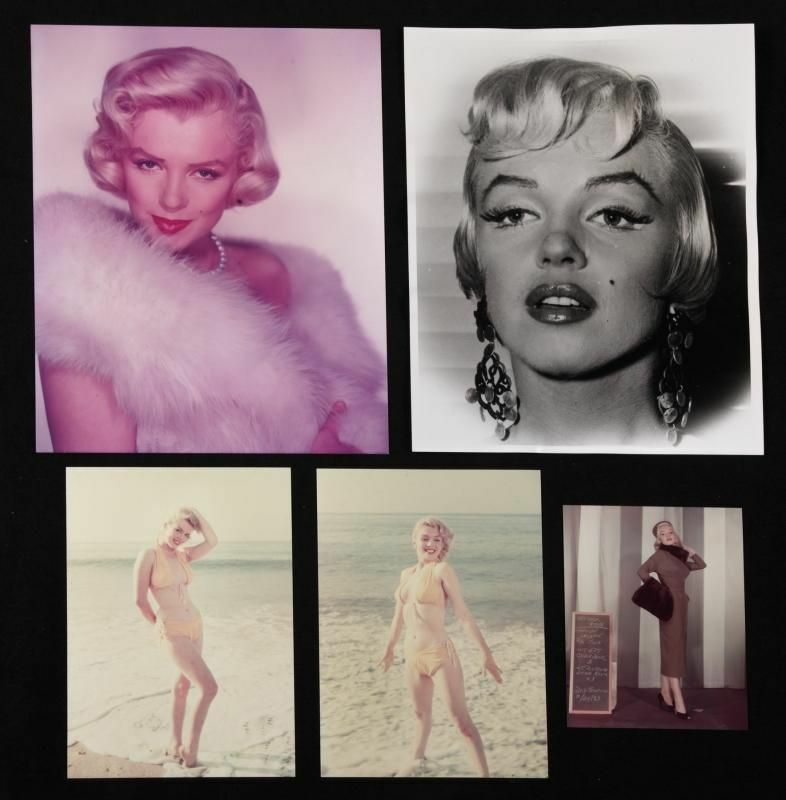 It was there that Kotler took these photographs showing Monroe in various poses, reclining on a lounge chair poolside. 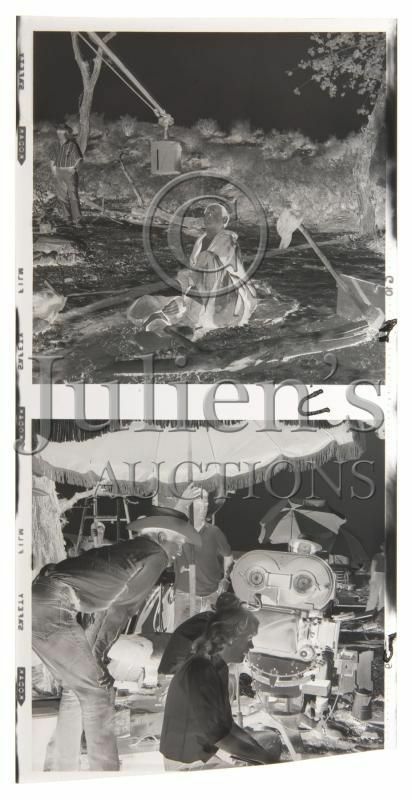 Rights to these images will be transferred to the winning bidder. A black and white photograph of Marilyn Monroe on the set of How to Marry a Millionaire (20th Century Fox, 1953), taken by Frank Worth circa 1953. Gelatin silver print, printed later in a limited edition. Embossed in margin with Frank Worth Estate copyright stamp and numbered 100/195. 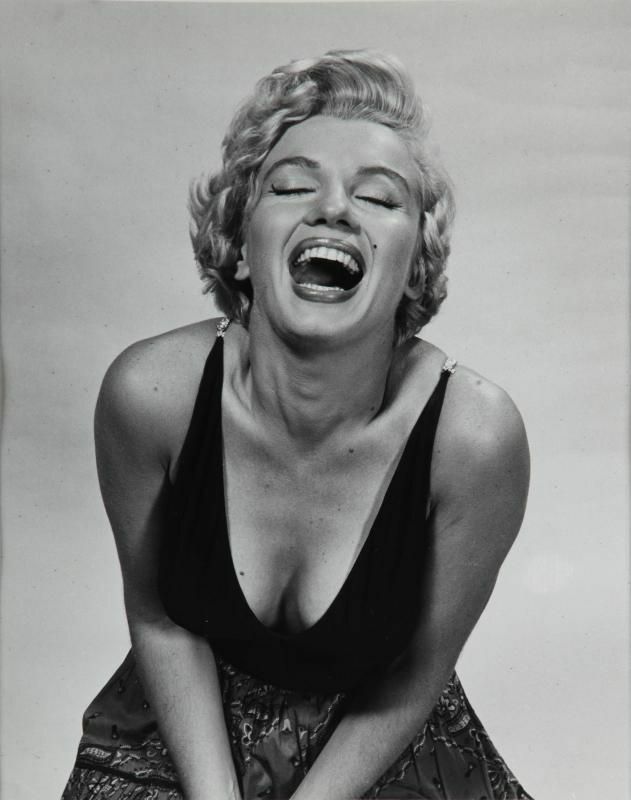 "Marilyn Monroe Laughing," taken by Philippe Halsman in 1954. Gelatin silver print, printed 1978. Artist's blind stamp lower right, titled and dated in pencil on verso, artist's copyright stamp on verso. 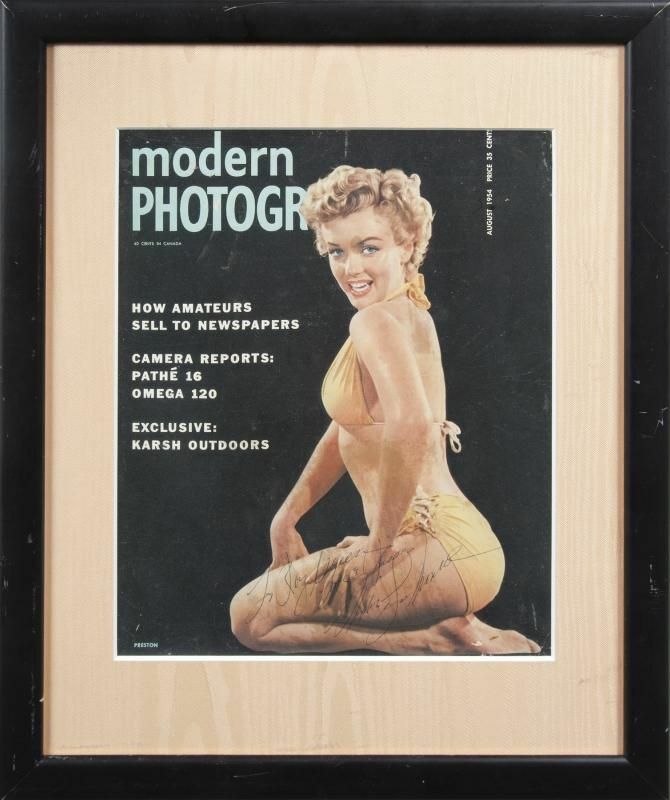 A Marilyn Monroe signed magazine cover from the August 1954 issue of Modern Photography. 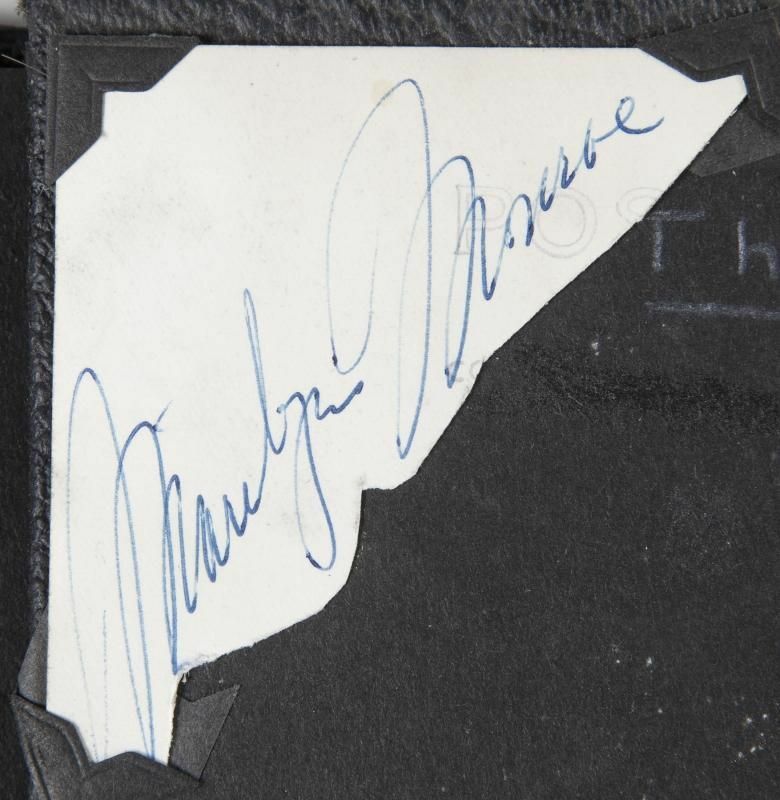 Inscribed by Monroe "To Roy Green/ Love & Kisses/ Marilyn Monroe." A black and white photograph of Marilyn Monroe, taken by Frank Worth circa 1949. Gelatin silver print, printed later in a limited edition. Embossed in margin with Frank Worth Estate copyright stamp and numbered 100/195. 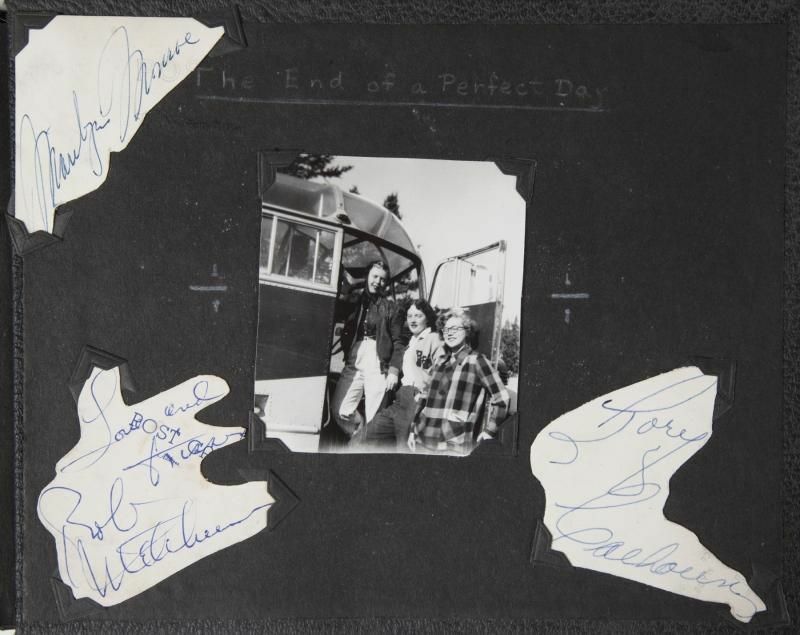 A scrapbook containing original vintage candid black and white photographs of the cast on the set of River of No Return (20th Century Fox, 1954) accompanied by three cut sheets with the signatures of Marilyn Monroe, Robert Mitchum, and Rory Calhoun. 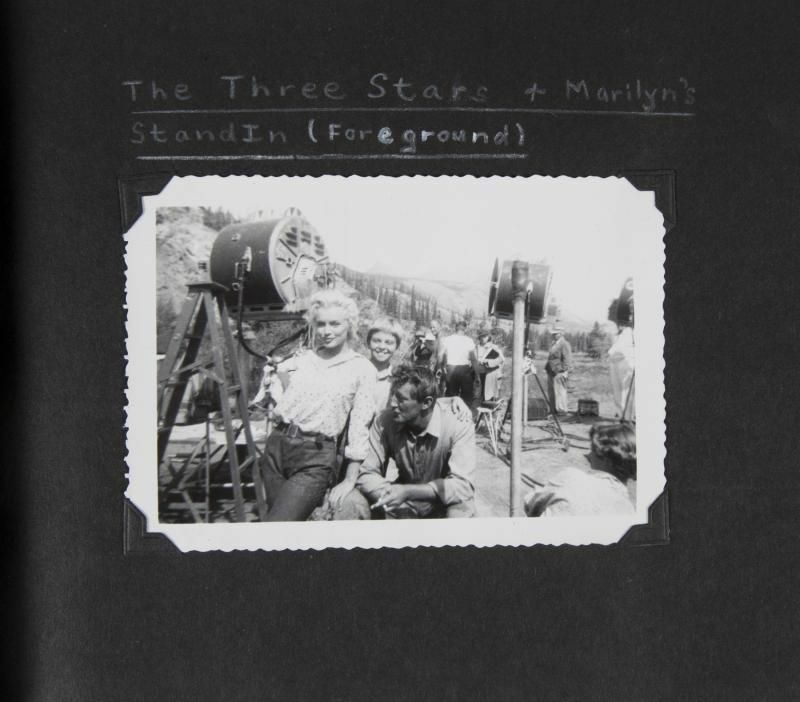 A group comprised of five photographs and five copy negatives of Marilyn Monroe, from the archive of Monroe's makeup artist, Allan "Whitey" Snyder. Taken by various photographers at varying sets and locations. A candid black and white photograph of Marilyn Monroe while filming The Seven Year Itch (20th Century Fox, 1955). The photograph was taken by an unknown photographer on September 15, 1954, outside the Trans-Lux Theatre on 52nd and Lexington in New York City. It is believed that this photograph has never before been published. A black and white photograph of Marilyn Monroe taken by Lawrence Schiller. 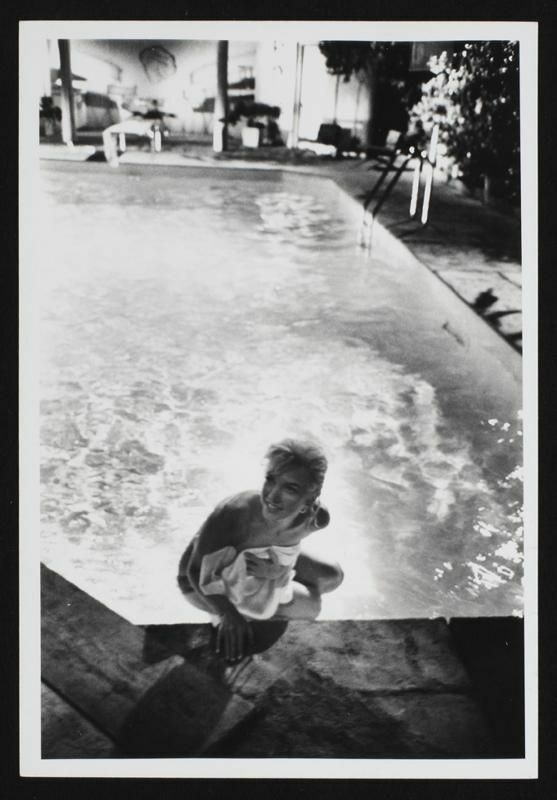 The photograph shows Monroe in the pool on the set of Something's Got to Give (20th Century, 1962). 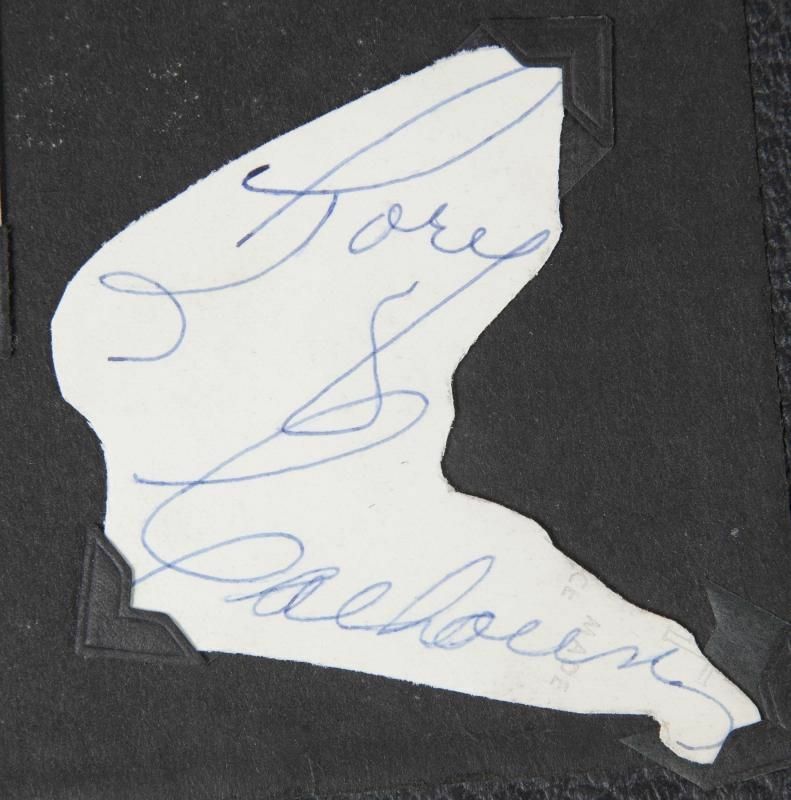 Stamped on verso with copyright information as well as a sticker from The New Ingot Company.